The Early Childhood Program is designed for ages two through four. 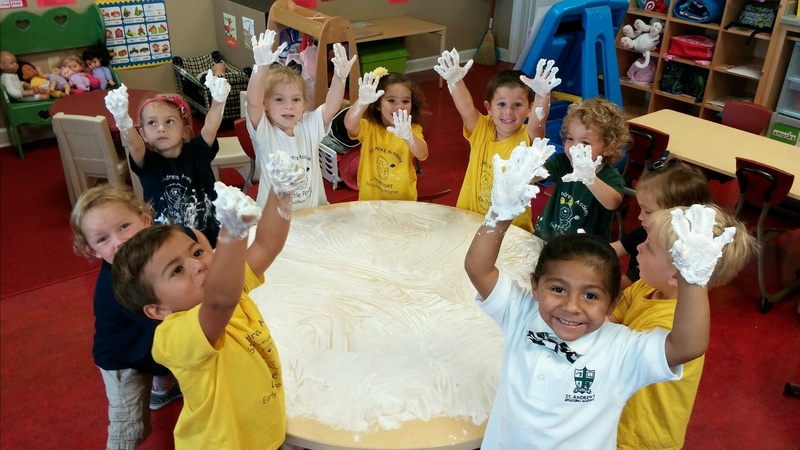 The goal of our ECE program is to engage children joyfully, physically and intellectually in meaningful learning experiences that help each child develop a positive self-image and instill a passion for lifelong learning. Learning reflects hands-on experiences where the children are provided the opportunity to be engaged in activities that are relevant and important to them. Our ECE program looks at the whole child. It addresses key benchmarks and objectives in all areas of child development – social/emotional, physical, cognitive and language. This program implements best practices in the classroom and follows the guidelines of the National Association of Young Children (NAEYC), which identifies key components of quality early childhood programs and provides specific guidance for teachers. Developmentally appropriate practice means teaching in ways that meet children where they are and contribute to their optimal learning and development. Through play, children learn to build confidence, develop social skills and creativity. 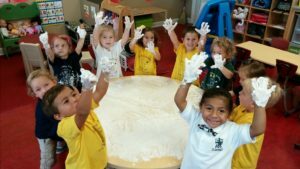 The ECE program uses The Creative Curriculum to guide our educators in creating play-based learning in all content areas: Literacy, Math, Science, Social Studies, the Arts, and Technology, as well as the social/emotional needs of the child. Our ECE students attend weekly elective classes, which include Music, Spanish, Physical Education and Christian Education.